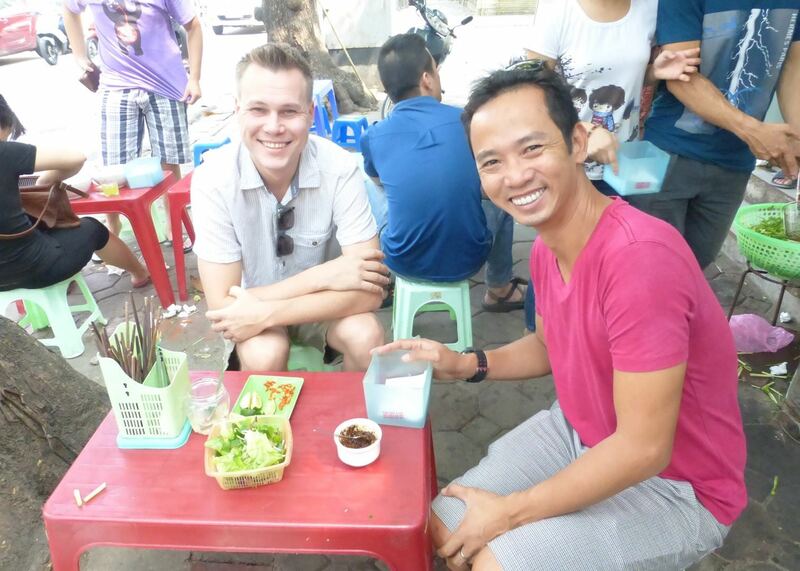 Set off on a street food tour of Hanoi's best culinary spots with a food blogger. 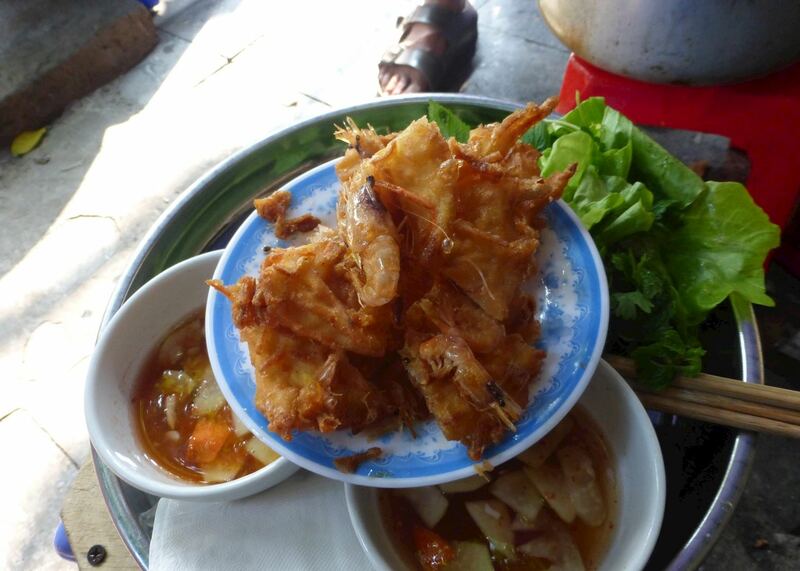 Set off on a street food tour of Hanoi's best culinary spots with a food blogger. Having a special passion for Vietnamese food and culture, the food blogger has started to document his food and culture adventures since 2005. With hands-on experience in managing some of Hanoi's finest dining establishments along with his strong interest in Hanoi's street food, the street food blogger will give you an insight into Hanoi's food scene and an elaborate explanation of Vietnamese practices. 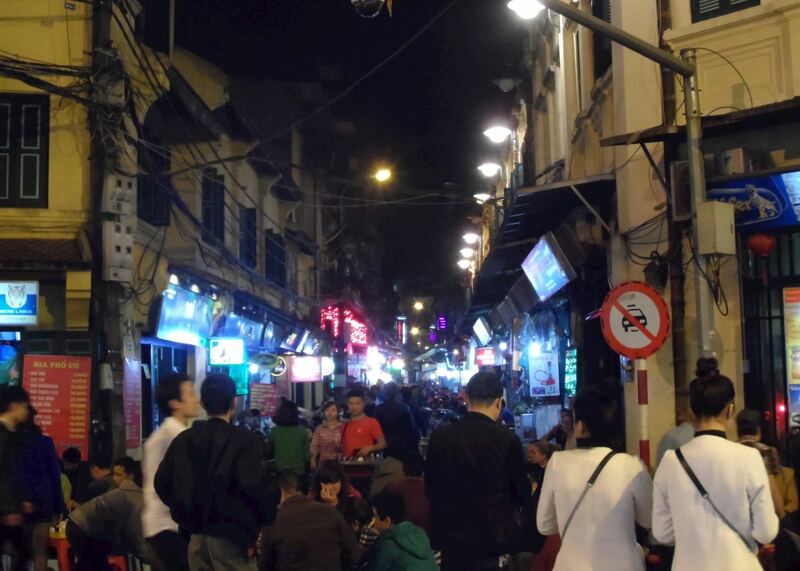 Stroll through the Old Quarter and head to Thanh Ha market where you will try local delicacies and strange food items that you may never have seen before. The market scene is permeated with the typical sights and sounds of Hanoi that depict the essence of Vietnamese culture. Weave through the streets of the Old Quarter to Dong Xuan market where you will sample the famous local street foods "Pho" and "Bun Dau". 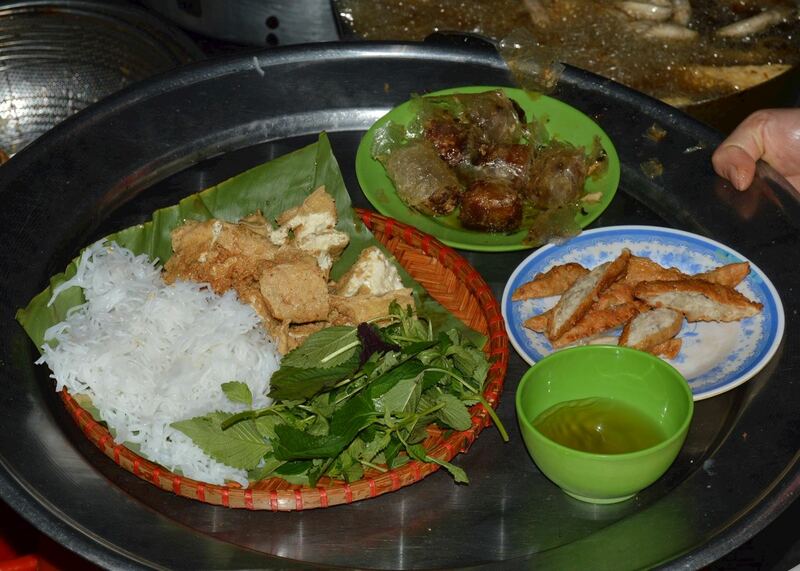 You will learn the routine of Vietnam meal times and the unusual ingredients that make the local flavors special and exotic. Walk down to Hang Than Street where ceremonial cake stalls are displayed and many unique and colorful cakes are on sale. Pass by Hang Cot Street to see some specially treated fruit. Walk along Phung Hung Street through temporary market stalls to see the changing market scene in Hanoi and how modernisation is harmoniously intertwined with tradition. The tour ends with a visit to one of the Old Quarter's busiest coffee shops to try the excellent local coffee. of our Vietnam clients would recommend us to a friend. We are pleased to be able to offer clients the opportunity during their stay in Hanoi to enjoy a short talk on one of a number of subjects relating to Vietnam, its history and its culture. The tour is flexible and you choose any other sites that you may wish to visit by discussing the options with your guide. Attractions include the Fine Arts Museum, the Old Quarter and the Army Museum as well as the vast West Lake. The museum of ethnology is a fascinating insight into the cultural diversity of Vietnam. It is a newly built, hands-on museum with displays of art and everyday objects from various tribes. Experience this unique Vietnamese cultural show where hidden puppeteers depict rural scenes with animated and delightful wooden puppets which, in the darkened auditorium, seem to literally walk on water.